Council Directive 90/384/EEC of 20 June 1990 on the harmonisation of the laws of the Member States relating to non-automatic weighing instruments (3) has been substantially amended (4). In the interests of clarity and rationality the said Directive should be codified. Member States have the responsibility of protecting the public against incorrect results of weighing operations by means of non-automatic weighing instruments when used for certain categories of applications. In each Member State, mandatory provisions fix in particular the necessary performance requirements of non-automatic weighing instruments by specifying metrological and technical requirements, together with inspection procedures before and after going into service. These mandatory provisions do not necessarily lead to different levels of protection from one Member State to another but do, by their disparity, impede trade within the Community. This Directive should set out mandatory and essential requirements as regards metrology and performance in relation to non-automatic weighing instruments. To facilitate proof of conformity with the essential requirements, it is necessary to have harmonised standards at European level, in particular as to the metrological, design and construction characteristics, so that instruments complying with those harmonised standards may be assumed to conform to the essential requirements. These standards, harmonised at European level, are drawn up by private bodies and must remain non-mandatory texts. For that purpose the European Committee for Standardisation (CEN), the European Committee for Electrotechnical Standardisation (Cenelec) and the European Telecommunications Standards Institute (ETSI) are recognised as the competent bodies for the adoption of harmonised standards in accordance with the general guidelines (5) for cooperation between the Commission, the European Free Trade Association (EFTA) and those three bodies, signed on 28 March 2003. A series of Directives designed to remove technical barriers to trade in accordance with the principles established in the Council Resolution of 7 May 1985 on a new approach to technical harmonisation and standards (6) has been adopted; each of those Directives provides for the affixing of the ‘CE’ conformity marking. 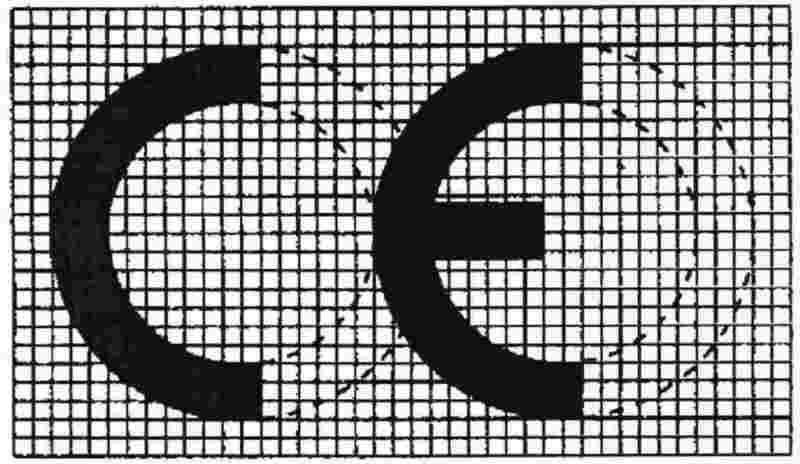 In its communication of 15 June 1989 (7) on a global approach to certification and testing, the Commission proposed that common rules be drawn up concerning a ‘CE’ conformity marking with a single design. In its Resolution of 21 December 1989 on a global approach to conformity assessment (8), the Council approved as a guiding principle the adoption of a consistent approach such as this with regard to the use of the ‘CE’ conformity marking. The two basic elements of the new approach which should be applied are the essential requirements and the conformity assessment procedures. Assessment of conformity with the relevant metrological and technical provisions is necessary to provide effective protection for users and third parties. The existing conformity assessment procedures differ from one Member State to another. To avoid multiple assessments of conformity, which are in effect barriers to the free movement of the instruments, arrangements should be made for the mutual recognition of conformity assessment procedures by the Member States. To facilitate the mutual recognition of conformity assessment procedures, Community procedures should be set up, together with criteria for the designation of the bodies responsible for carrying out tasks pertaining to the conformity assessment procedures. It is therefore essential to ensure that such designated bodies ensure a high level of quality throughout the Community. The presence on a non-automatic weighing instrument of the ‘CE’ conformity marking or of the sticker bearing the letter ‘M’ should indicate that there is a presumption that it satisfies the provisions of this Directive and therefore make it unnecessary to repeat the assessments of conformity already carried out. 1. This Directive shall apply to all non-automatic weighing instruments. all applications other than those listed in point (a). 3. ‘harmonised standard’: a technical specification (European standard or harmonised document) adopted by the European Committee for Standardisation (CEN), the European Committee for Electrotechnical Standardisation (Cenelec), or the European Telecommunications Standards Institute (ETSI), or by two or three of those bodies, upon a remit from the Commission in accordance with Directive 98/34/EC of the European Parliament and of the Council of 22 June 1998 laying down a procedure for the provision of information in the field of technical standards and regulations (9) and the general guidelines for cooperation between the Commission, the European Free Trade Association (EFTA) and those three bodies, signed on 28 March 2003. 1. Member States shall take all steps to ensure that only instruments that meet the requirements of this Directive may be placed on the market. 2. Member States shall take all steps to ensure that instruments may not be brought into service for the uses referred to in point (a) of Article 1(2) unless they meet the requirements of this Directive and accordingly bear the ‘CE’ conformity marking provided for in Article 11. Instruments used for the applications listed in point (a) of Article 1(2) must satisfy the essential requirements set out in Annex I. In cases where the instrument includes, or is connected to, devices which are not used for the applications listed in point (a) of Article 1(2), such devices shall not be subject to those essential requirements. 1. Member States shall not impede the placing on the market of instruments which meet the requirements of this Directive. 2. Member States shall not impede the putting into service, for the uses referred to in point (a) of Article 1(2), of instruments which meet the requirements of this Directive. 1. Member States shall presume conformity with the essential requirements set out in Annex I in respect of instruments which comply with the relevant national standards implementing the harmonised standards that meet those requirements. 2. The Commission shall publish the references of the harmonised standards referred to in paragraph 1 in the Official Journal of the European Union. Member States shall publish the references of the national standards referred to in paragraph 1. Where a Member State or the Commission considers that the harmonised standards referred to in Article 6(1) do not fully meet the essential requirements set out in Annex I, the Commission or the Member State concerned shall bring the matter before the Standing Committee set up under Article 5 of Directive 98/34/EC, hereinafter referred to as ‘the Committee’, giving its reasons for doing so. The Committee shall deliver an opinion without delay. In the light of the Committee’s opinion, the Commission shall inform the Member States whether or not it is necessary to withdraw those standards from the publications referred to in Article 6(2). 1. Where a Member State considers that instruments bearing the ‘CE’ conformity marking referred to in Annex II, points 2, 3 and 4, do not meet the requirements of this Directive when properly installed and used for the purposes for which they are intended, it shall take all appropriate measures to withdraw those instruments from the market or to prohibit or restrict their being put into service and/or placed on the market. shortcomings in the harmonised standards referred to in Article 6(1) themselves. 2. The Commission shall enter into consultation with the parties concerned as soon as possible. After such consultation the Commission shall immediately inform the Member State which took the action of the result. Should it find that the measure is justified it shall immediately inform the other Member States. If the decision is attributed to shortcomings in the standards, the Commission, after consulting the parties concerned, shall bring the matter before the Committee within two months if the Member State which has taken the measures intends to maintain them, and shall subsequently initiate the procedures referred to in Article 7. 3. Where an instrument which does not comply bears the ‘CE’ conformity marking, the competent Member State shall take appropriate action against whomsoever has affixed the marking and shall inform the Commission and the other Member States thereof. EC type examination as referred to in Annex II, point 1, followed either by the EC declaration of type conformity (guarantee of production quality) as referred to in Annex II, point 2, or by the EC verification as referred to in Annex II, point 3. EC unit verification as referred to in Annex II, point 4. 2. The documents and correspondence relating to the procedures referred to in paragraph 1 shall be drafted in an official language of the Member State where the said procedures are carried out, or in a language accepted by the body notified in accordance with Article 10(1). 3. Where the instruments are subject to other Directives covering other aspects and which also provide for the affixing of the ‘CE’ conformity marking, that marking shall indicate that the instruments in question are also presumed to conform to the provisions of those other Directives. However, where one or more of the Directives which apply to the instruments allow the manufacturer, during a transitional period, to choose which arrangements to apply, the ‘CE’ conformity marking shall indicate conformity only to the Directives applied by the manufacturer. In this case, particulars of publication in the Official Journal of the European Union of the Directives applied must be given in the documents, notices or instructions required by the Directives and accompanying such instruments. 1. Member States shall notify the Commission and the other Member States of the bodies which they have appointed to carry out the procedures referred to in Article 9 together with the specific tasks which these bodies have been appointed to carry out and the identification numbers assigned to them beforehand by the Commission. The Commission shall publish in the Official Journal of the European Union a list of the notified bodies and their identification numbers and the tasks for which they have been notified. The Commission shall ensure that this list is kept up to date. 2. Member States shall apply the minimum criteria set out in Annex V for the designation of bodies. Bodies which satisfy the criteria fixed by the relevant harmonised standards shall be presumed to satisfy the criteria set out in that Annex. 3. A Member State which has designated a body shall cancel the designation if the body no longer meets the criteria for designation referred to in paragraph 2. It shall immediately inform the other Member States and the Commission thereof and withdraw the notification. 1. The ‘CE’ conformity marking and the required supplementary data as described in Annex IV, point 1, shall be affixed in a clearly visible, easily legible and indelible form to instruments for which EC conformity has been established. 2. The inscriptions referred to in Annex IV, point 2, shall be affixed in a clearly visible, easily legible and indelible form to all other instruments. 3. The affixing on the instruments of markings which are likely to deceive third parties as to the meaning and form of the ‘CE’ conformity marking shall be prohibited. Any other marking may be affixed to the instruments provided that the visibility and legibility of the ‘CE’ conformity marking is not thereby reduced. where non-conformity continues, the Member State must take all appropriate measures to restrict or prohibit the placing on the market of the instrument in question or to ensure that it is withdrawn from the market in accordance with the procedures laid down in Article 8. Where an instrument which is used for any of the applications referred to in point (a) of Article 1(2) includes, or is connected to, devices that have not been subject to conformity assessment as referred to in Article 9, each of those devices shall bear the symbol restricting its use as defined by Annex IV, point 3. That symbol shall be affixed to the devices in a clearly visible and indelible form. Member States shall take all steps to ensure that instruments bearing the ‘CE’ conformity marking attesting conformity with the requirements of this Directive continue to conform to those requirements. Any decision taken pursuant to this Directive and resulting in restrictions on the putting into service of an instrument shall state the exact grounds on which it is based. Such a decision shall be notified without delay to the party concerned, who shall at the same time be informed of the judicial remedies available to him under the laws in force in the Member State in question and of the time limits to which such remedies are subject. Member States shall communicate to the Commission the texts of the main provisions of internal law which they adopt in the field covered by this Directive. Directive 90/384/EEC, as amended by the Directive listed in Annex VII, Part A, is repealed, without prejudice to the obligations of the Member States relating to the time limits for transposition into national law and application of the Directives set out in Annex VII, Part B. (1) OJ C 44, 16.2.2008, p. 33. (2) Opinion of the European Parliament of 11 December 2007 (OJ C 323 E, 18.12.2008, p. 57) and Council Decision of 23 March 2009. (3) OJ L 189, 20.7.1990, p. 1. (5) OJ C 91, 16.4.2003, p. 7. (7) OJ C 267, 19.10.1989, p. 3. (8) OJ C 10, 16.1.1990, p. 1. (9) OJ L 204, 21.7.1998, p. 37. The terminology used is that of the International Organisation of Legal Metrology. Where an instrument includes, or is connected to, more than one indicating or printing device used for the applications listed in point (a) of Article 1(2), those devices which repeat the results of the weighing operation and which cannot influence the correct functioning of the instrument shall not be subject to the essential requirements if the weighing results are printed or recorded correctly and indelibly by a part of the instrument which meets the essential requirements and the results are accessible to both parties concerned by the measurement. However, in the case of instruments used for direct sales to the public, display and printing devices for the vendor and the customer must fulfil the essential requirements. The units of mass used shall be the legal units within the meaning of Council Directive 80/181/EEC of 20 December 1979 on the approximation of the laws of the Member States relating to units of measurement (1). other non-SI unit: metric carat, if weighing precious stones. For instruments that make use of the imperial unit of mass referred to above, the relevant essential requirements specified below shall be converted to that unit, using simple interpolation. The specifications of these classes are given in Table 1. The minimum capacity is reduced to 5 e for instruments in classes II and III for determining a conveying tariff. k being any integer or zero. except for instruments of class I with d < 10–4 g, for which e = 10–3 g.
Instruments equipped with an auxiliary indicating device shall belong to class I or class II. For these instruments the minimum capacity lower limits for these two classes are obtained from Table 1 by replacement in column 3 of the verification scale interval (e) by the actual scale interval (d). If d < 10–4 g, the maximum capacity of class I may be less than 50 000 e.
Multiple weighing ranges are permitted, provided they are clearly indicated on the instrument. Each individual weighing range is classified according to point 3.1. If the weighing ranges fall into different accuracy classes the instrument shall comply with the severest of the requirements that apply for the accuracy classes in which the weighing ranges fall. Instruments with one weighing range may have several partial weighing ranges (multi-interval instruments). Multi-interval instruments shall not be equipped with an auxiliary indicating device. the total number of partial weighing ranges. All capacities are capacities of net load, irrespective of the value of any tare used. The partial weighing ranges are classified according to Table 2. All partial weighing ranges shall fall into the same accuracy class, that class being the instrument’s accuracy class. 4.1. On implementation of the procedures laid down in Article 9, the error of indication shall not exceed the maximum permissible error of indication as shown in Table 3. In case of digital indication the error of indication shall be corrected for the rounding error. The maximum permissible errors apply to the net value and tare value for all possible loads, excluding preset tare values. 4.2. The maximum permissible errors in service are twice the maximum permissible errors fixed in Section 4.1. 5. Weighing results of an instrument shall be repeatable, and shall be reproducible by the other indicating devices used and in accordance with other methods of balancing used. The weighing results shall be sufficiently insensitive to changes in the position of the load on the load receptor. 6. The instrument shall react to small variations in the load. 7.1. Instruments of classes II, III and IIII, liable to be used in a tilted position, shall be sufficiently insensitive to the degree of tilting that can occur in normal use. 30 °C for an instrument in class III or IIII. In the absence of a manufacturer’s specification, the temperature range of – 10 °C to + 40 °C applies. 7.3. Instruments operated from a mains power supply shall meet the metrological requirements under conditions of power supply within the limits of normal fluctuation. Instruments operated from battery power shall indicate whenever the voltage drops below the minimum required value and shall under those circumstances either continue to function correctly or be automatically put out of service. 7.4. Electronic instruments, except those in class I and in class II if e is less than 1 g, shall meet the metrological requirements under conditions of high relative humidity at the upper limit of their temperature range. 7.5. Loading an instrument in class II, III or IIII for a prolonged period of time shall have a negligible influence on the indication at load or on the zero indication immediately after removal of the load. 7.6. Under other conditions the instruments shall either continue to function correctly or be automatically put out of service. 8.1. Design and construction of the instruments shall be such that the instruments will preserve their metrological qualities when properly used and installed and when used in an environment for which they are intended. The value of the mass must be indicated. 8.2. When exposed to disturbances, electronic instruments shall not display the effects of significant faults, or shall automatically detect and indicate them. Upon automatic detection of a significant fault, electronic instruments shall provide a visual or audible alarm that shall continue until the user takes corrective action or the fault disappears. 8.3. The requirements of points 8.1 and 8.2 shall be met on a lasting basis during a period of time that is normal in view of the intended use of such instruments. Digital electronic devices shall always exercise adequate control of the correct operation of the measuring process, of the indicating device, and of all data storage and data transfer. Upon automatic detection of a significant durability error, electronic instruments shall provide a visual or audible alarm that shall continue until the user takes corrective action or the error disappears. 8.4. When external equipment is connected to an electronic instrument through an appropriate interface the metrological qualities of the instrument shall not be adversely influenced. 8.5. The instruments shall have no characteristics likely to facilitate fraudulent use, whereas possibilities for unintentional misuse shall be minimal. Components that may not be dismantled or adjusted by the user shall be secured against such actions. 8.6. Instruments shall be designed to permit ready execution of the statutory controls laid down by this Directive. The indication of the weighing results and other weight values shall be accurate, unambiguous and non-misleading and the indicating device shall permit easy reading of the indication under normal conditions of use. The names and symbols of the units referred to in point 1 of this Annex shall comply with the provisions of Directive 80/181/EEC with the addition of the symbol for the metric carat which shall be the symbol ‘ct’. Indication shall be impossible above the maximum capacity (Max), increased by 9 e.
An auxiliary indicating device is permitted only to the right of the decimal mark. An extended indicating device may be used only temporarily, and printing shall be inhibited during its functioning. Secondary indications may be shown, provided that they cannot be mistaken for primary indications. Printed results shall be correct, suitably identified and unambiguous. The printing shall be clear, legible, non-erasable and durable. When appropriate, instruments shall be fitted with a levelling device and a level indicator, sufficiently sensitive to allow proper installation. Instruments may be equipped with zeroing devices. The operation of these devices shall result in accurate zeroing and shall not cause incorrect measuring results. The instruments may have one or more tare devices and a preset tare device. The operation of the tare devices shall result in accurate zeroing and shall ensure correct net weighing. The operation of the preset tare device shall ensure correct determination of the calculated net value. Instruments for direct sale to the public shall show all essential information about the weighing operation and, in the case of price-indicating instruments, shall clearly show the customer the price calculation of the product to be purchased. The price to pay, if indicated, shall be accurate. Price-computing instruments shall display the essential indications long enough for the customer to read them properly. Price-computing instruments may perform functions other than per-article weighing and price computation only if all indications related to all transactions are printed clearly and unambiguously and are conveniently arranged on a ticket or label for the customer. Instruments shall bear no characteristics that can cause, directly or indirectly, indications the interpretation of which is not easy or straightforward. Instruments shall safeguard customers against incorrect sales transactions due to their malfunctioning. Auxiliary indicating devices and extended indicating devices are not permitted. Supplementary devices are permitted only if they cannot lead to fraudulent use. Instruments similar to those normally used for direct sales to the public which do not satisfy the requirements of this Section must carry near to the display the indelible marking ‘Not to be used for direct sale to the public’. Price labelling instruments shall meet the requirements of price indicating instruments for direct sale to the public, as far as applicable to the instrument in question. The printing of a price label shall be impossible below a minimum capacity. (1) OJ L 39, 15.2.1980, p. 40. (2) For i = r, the corresponding column of Table 1 applies, with e replaced by er. 1.1. EC type-examination is the procedure whereby a notified body verifies and certifies that an instrument, representative of the production envisaged, meets the requirements of this Directive. 1.2. The application for EC type-examination shall be lodged with a single notified body by the manufacturer or his authorised representative established within the Community. the design documentation, as described in Annex III. The applicant shall place at the disposal of the notified body an instrument, representative of the production envisaged, hereinafter the ‘type’. perform or have performed the appropriate examinations and/or tests to check whether, where the manufacturer has chosen to apply the relevant standards, these standards have been applied effectively, thereby assuring conformity with the essential requirements. 1.4. Where the type complies with the provisions of this Directive, the notified body shall issue an EC type-approval certificate to the applicant. The certificate shall contain the conclusions of the examination, conditions (if any) for its validity, the necessary data for identification of the approved instrument and, if relevant, a description of its functioning. All the relevant technical elements such as drawings and layouts shall be annexed to the EC type-approval certificate. The certificate shall have a validity period of 10 years from the date of its issue, and may be renewed for subsequent periods of 10 years each. In the event of fundamental changes to the design of the instrument, e.g. as a result of the application of new techniques, the validity of the certificate may be limited to two years and extended by three years. additions and amendments relating to documents already issued. Each notified body shall moreover inform all the Member States forthwith of withdrawals of EC type-approval certificates. Each Member State shall make this information available to the bodies which it has notified. 1.6. The other notified bodies may receive a copy of the certificates together with the annexes to them. 1.7. The applicant shall keep the notified body that has issued the EC type-approval certificate informed of any modification to the approved type. Modifications to the approved type must receive additional approval from the notified body that issued the EC type-approval certificate where such changes influence conformity with the essential requirements of this Directive or the prescribed conditions for use of the instrument. This additional approval is given in the form of an addition to the original EC type-approval certificate. 2.1. The EC declaration of type conformity (guarantee of production quality) is the procedure whereby the manufacturer who satisfies the obligations of point 2.2 declares that the instruments concerned are, where applicable, in conformity with the type as described in the EC type-approval certificate and that they satisfy the requirements of this Directive. The manufacturer or his authorised representative established within the Community shall affix the ‘CE’ conformity marking to each instrument and the inscriptions provided for in Annex IV and shall draw up a written declaration of conformity. The ‘CE’ conformity marking shall be accompanied by the identification number of the notified body responsible for the EC surveillance referred to in point 2.4. 2.2. The manufacturer shall have adequately implemented a quality system as specified in point 2.3 and shall be subject to EC surveillance as specified in point 2.4. The manufacturer shall lodge an application for approval of his quality system with a notified body. an undertaking to maintain the approved quality system to ensure its continuing suitability and effectiveness. The manufacturer shall make available to the notified body all relevant information, in particular the quality system’s documentation and the design documentation of the instrument. The quality system shall ensure conformity of the instruments with the type as described in the EC type-approval certificate and with the requirement(s) of this Directive. All the elements, requirements and provisions adopted by the manufacturer shall be documented in a systematic and orderly manner in the form of written rules, procedures and instructions. This quality system documentation shall ensure a proper understanding of the quality programmes, plans, manuals and records. the means to monitor the achievement of the required product quality and the effective operation of the quality system. The notified body shall examine and evaluate the quality system to determine whether it satisfies the requirements referred to in point 2.3.2. It shall presume conformity with these requirements in respect of quality systems that implement the corresponding harmonised standard. It shall notify its decision to the manufacturer and inform the other notified bodies thereof. The notification to the manufacturer shall contain the conclusions of the examination and, in the event of refusal, the justification for the decision. The manufacturer or his authorised representative shall keep the notified body that has approved the quality system informed of any updating of the quality assurance system in relation to changes brought about by, e.g. new technologies and new quality concepts. Any notified body that withdraws approval of a quality system shall so inform the other notified bodies. The purpose of EC surveillance is to make sure that the manufacturer duly fulfils the obligations arising out of the approved quality system. the quality records, e.g. the inspection reports and tests and calibration data, reports on the qualifications of the personnel concerned, etc. The notified body shall periodically carry out audits in order to ensure that the manufacturer is maintaining and applying the quality system; it shall provide the manufacturer with an audit report. In addition, the notified body may carry out unscheduled visits to the manufacturer. During such visits, the notified body may carry out full or partial audits. It shall provide the manufacturer with a report on the visit, and, where appropriate, an audit report. The notified body shall ensure that the manufacturer maintains and applies the approved quality system. 3.1. EC verification is the procedure whereby the manufacturer or his authorised representative established within the Community ensures and declares that the instruments which have been checked in accordance with point 3.3 are, where applicable, in conformity with the type described in the EC type-examination certificate and that they satisfy the requirements of this Directive. 3.2. The manufacturer shall take all necessary measures in order that the manufacturing process ensures conformity of the instruments, where applicable, with the type as described in the EC type-examination certificate and with the requirements of this Directive which apply to them. The manufacturer or his authorised representative established within the Community shall affix the ‘CE’ conformity marking to each instrument and draw up a written declaration of conformity. 3.3. The notified body shall carry out the appropriate examinations and tests in order to check the conformity of the product to the requirements of this Directive by examination and testing of every instrument, as specified in point 3.5. All instruments shall be individually examined and appropriate tests, as set out in the relevant harmonised standards referred to in Article 6(1), or equivalent tests, shall be carried out in order to verify their conformity, where applicable, with the type as described in the EC type-examination certificate and the requirements of this Directive. The notified body shall affix, or cause to be affixed, its identification number on each instrument the conformity of which to requirements has been established, and shall draw up a written certificate of conformity relating to the tests carried out. The manufacturer or his authorised representative shall ensure that he is able to supply the notified body’s certificates of conformity on request. 4.1. EC unit verification is the procedure whereby the manufacturer or his authorised representative established within the Community ensures and declares that the instrument, generally designed for a specific application, which has been issued with the certificate referred to in point 4.2 conforms to the requirements of this Directive that apply to it. The manufacturer or his authorised representative shall affix the ‘CE’ conformity marking to the instrument and shall draw up a written declaration of conformity. 4.2. The notified body shall examine the instrument and carry out the appropriate tests, as set out in the relevant harmonised standard(s) referred to in Article 6(1), or equivalent tests, in order to ensure its conformity with the relevant requirements of this Directive. The notified body shall affix, or cause to be affixed, its identification number to the instrument the conformity of which to requirements has been established, and shall draw up a written certificate of conformity concerning the tests carried out. 4.3. The aim of the technical documentation relating to the design of the instrument, as referred to in Annex III, is to enable conformity with the requirements of this Directive to be assessed and the design, manufacture and operation of the instrument to be understood. It must be accessible to the notified body. 4.4. The manufacturer or his authorised representative shall ensure that he is able to supply the notified body’s certificates of conformity on request. 5.1. The EC declaration of type conformity (guarantee of production quality), the EC verification, and the EC unit verification may be carried out at the manufacturer’s works or any other location if transport to the place of use does not require dismantling of the instrument, if the putting into service at the place of use does not require assembly of the instrument or other technical installation work likely to affect the instrument’s performance, and if the gravity value at the place of putting into service is taken into consideration or if the instrument’s performance is insensitive to gravity variations. In all other cases, they shall be carried out at the place of use of the instrument. 5.2. If the instrument’s performance is sensitive to gravity variations the procedures referred to in point 5.1 may be carried out in two stages, with the second stage comprising all examinations and tests of which the outcome is gravity-dependent, and the first stage all other examinations and tests. The second stage shall be carried out at the place of use of the instrument. If a Member State has established gravity zones on its territory the expression ‘at the place of use of the instrument’ may be read as ‘in the gravity zone of use of the instrument’. 5.2.1. Where a manufacturer has opted for execution in two stages of one of the procedures mentioned in point 5.1, and where these two stages will be carried out by different parties, an instrument which has undergone the first stage of the procedure shall bear the identification number of the notified body involved in that stage. 5.2.2. The party which has carried out the first stage of the procedure shall issue for each of the instruments a certificate containing the data necessary for identification of the instrument and specifying the examinations and tests that have been carried out. 5.2.3. A manufacturer who has opted for the EC declaration of type conformity (guarantee of production quality) in the first stage may either use this same procedure in the second stage or decide to continue in the second stage with EC verification. 5.2.4. The ‘CE’ conformity marking shall be affixed to the instrument on completion of the second stage, along with the identification number of the notified body which took part in the second stage. The technical documentation must render the design, manufacture and operation of the product intelligible and enable an assessment to be made of its conformity with the requirements of this Directive. the EC type-approval certificates and the results of relevant tests on instruments containing parts identical to those in the design. the identification number(s) of the notified body/bodies that has/have carried out the EC surveillance or the EC verification. ratio between load receptor and load. The instruments shall have adequate facilities for the affixing of the ‘CE’ conformity marking and/or inscriptions. These shall be such that it shall be impossible to remove the marking and inscriptions without damaging them, and that the marking and inscriptions shall be visible when the instrument is in its regular operating position. Where a data plate is used it shall be possible to seal the plate unless it cannot be removed without being destroyed. If the data plate is sealable it shall be possible to apply a control mark to it. The inscriptions Max, Min, e, and d, shall also be shown near the display of the result if they are not already located there. Each load measuring device which is connected or can be connected to one or more load receptors shall bear the relevant inscriptions relating to the said load receptors. maximum capacity, in the form Max …. Those instruments may not bear the stickers provided for in point 1.1(b). That symbol shall be constituted by a capital letter ‘M’ printed in black on a red background at least 25 mm × 25 mm square with two intersecting diagonals forming a cross. The bodies shall have at their disposal the necessary personnel, means and equipment. The personnel of the bodies shall have technical competence and professional integrity. The bodies shall work independently of all circles, groups or persons having a direct or indirect interest in non-automatic weighing instruments as regards the carrying-out of the tests, the preparation of the reports, the issuing of the certificates and the surveillance required by this Directive. The personnel of the bodies shall respect professional confidentiality. The bodies shall take out a civil liability insurance if their civil liability is not covered by the State under national law. The fulfilment of the conditions under points 1 and 2 shall be periodically verified by the Member States. If the ‘CE’ conformity marking is reduced or enlarged the proportions given in the above graduated drawing must be respected. The various components of the ‘CE’ conformity marking must have substantially the same vertical dimension, which may not be less than 5 mm. (1) In accordance with Article 15(3) of Directive 90/384/EEC Member States shall permit, during a period of 10 years from the date on which they apply the laws, regulations and administrative provisions adopted by the Member States in order to transpose that Directive into national law, the placing on the market and/or putting into service of instruments which conform to the rules in force before 1 January 1993. (2) In accordance with Article 14(2) of Directive 93/68/EEC: ‘Until 1 January 1997, Member States shall allow the placing on the market and the bringing into service of products which comply with the marking arrangements in force before 1 January 1995’.